I’m honored that Rachele Baker DVM recently nominated Puppy Leaks for the Liebster award. 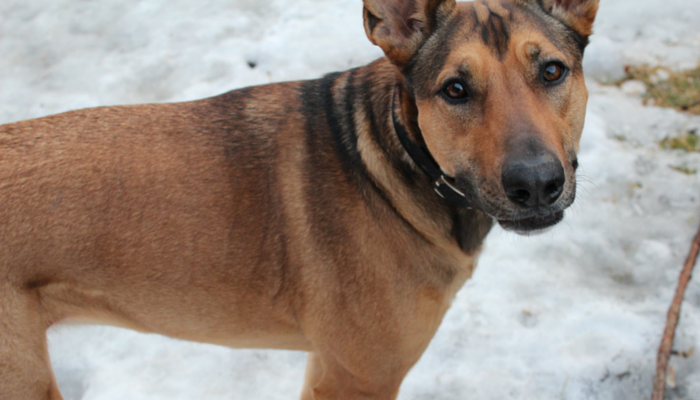 Rachele’s blog is one of my go to sources for pet health information and tips. She also just did a whole new redesign that looks amazing. Thank you Rachele for creating great resources for us pet owners and thank you so much for the nomination. The Liebster award is a way for bloggers to reach out and learn more about the blogs they enjoy. Accepting the award means answering 11 questions asked of you and adding in 11 facts about yourself. Then nominating your own 3-11 bloggers and asking them 11 questions of your own. I want to give a shot out to Pamela from Something Wagging that nominated Puppy Leaks last year. I was really new to blogging and was too nervous to join in. Thank you so much Pam – I love your sense of humor and wit, I’m honored that you nominated me. 1. What motivated you to start your blog and how long have you been blogging? I’ve been blogging since June of 2014, so less than a year. I’m a total newbie still. 2. Where do you get the ideas for your blog posts? A wide variety if ways. Sometimes it’s from a question I hear someone ask at work, other times it’s from experiences with my own dog Laika. Some news stories really grab me and I want to expand on them, other times it’s from a simple image. It’s always changing. 3. Do you ever get “writer’s block,” and, if so, how do you deal with it? I’ve definitely experienced it, and it’s frustrating. Since I’ve recently discovered the beauty of having an editorial calendar I’ll browse through that to get me going. I’ve got so many rough drafts started and it’s a nice way to visualize all the working titles and decide what I want to work on next. When I’m not in the writing mood I’ll decide to work on the visuals or do some more research. My boyfriend thinks I’m nuts but I love oatmeal. I have it every morning and it’s so easy to spice it up with different nuts & fruits. 5. What is the best advice you can give your fellow bloggers about how to get new subscribers? Network, network, network. 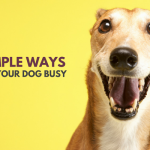 If you’re a pet blogger Blog Paws should be one of your first steps. Join the community, learn from your fellow bloggers, and don’t be afraid to reach out and ask for advice. Visit a lot of blogs in your niche and get to know your fellow bloggers. Leave comments on their great posts and support them by sharing their work on social media. Once you’ve made yourself known and create some good stuff they’ll be likely to share yours as well. Your own niche is where you’ll find your own community; and if you’re in the pet blog world you’re lucky because they’re an awesome bunch. 6. Do you belong to any writers’ or bloggers’ associations and, if so, which ones? I belong to Blog Paws. 7. What is the best feedback you have ever gotten on a blog post? I wrote “Remembering Sasha” about the first dog who underwent the clinical trial for a vaccine for bone cancer. 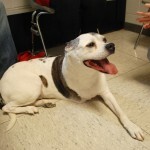 The initial results were promising, she didn’t show any signs of the cancer spreading for quite some time. Unfortunately she did eventually succumb to the disease, but she lived a year longer than anyone expected. Months after I published it her owner Carlos left a comment that has stuck with me ever since. That was the moment I realized what potential blogging really has. I think it was the first time I realized holy crap people are reading the stuff I write. Sadly, some dogs who were enrolled in the study did not survive long enough to receive the vaccine, but those that did, are still with us. In fact, they are healthy and show no signs of metastasis. We are so happy for these dogs and their owners. We also hope that the vaccine will one day be able help humans with different types of cancer that present with HER2/neu. Thanks again for sharing. From that moment on I realized that no matter how small of a blog you are people can and will read it. No matter what I write I had to take full responsibility; especially when writing about others or giving advice. 8. What is something people would be surprised to know about you? I don’t own a smart phone. 9. How do you get the word out about your blog posts –Twitter, Facebook, others? I’m on the major social networks – Twitter, Facebook, Pinterest & Google +. If you’re on Twitter I can’t recommend Triberr enough – it’s an amazing free tool that lets you share other peoples posts and they can share yours. It’s amazing how much impact a tweets from fellow bloggers can have on your own visibility. 10. Have you been to a BlogPaws Conference? If so, share your experience with us. 11. What is your greatest joy in life? When I get to relax. I love being able to get out every weekend with Laika and go hiking. Luckily my yard backs up to some woods so we don’t even have to look far for for new adventures – though we have a lot of great parks in the area as well that we enjoy. And I must say this week has been awesome; it’s been above 30 degrees and the time change means it’s not dark by the time I get home from work. Laika and I have been enjoying these lighter evenings. Who, What, or Where Does Your Blogging Inspiration Come From? What Types of Blog Posts do You Enjoy Reading? What Types of Blog Posts do You Love Writing? What Are Your Pets Worst Habits? What Wisdom Have You Learned from Your Pets? 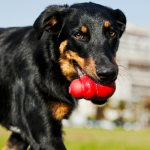 What Are Your Pets Favorite Toys? What Are Your Pets Favorite Games? What Do You Think Your Dogs Dreams About? Who Are Some of Your Heroes (past or present)? 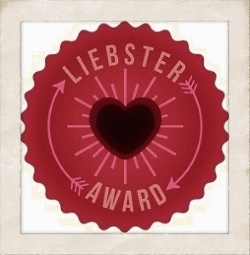 Copy and paste the Liebster Award logo onto your own blog. Answer the 11 questions put to you by the person who nominated you. Nominate and link to 3 to 11 other blogs you enjoy that have less than 3000 followers or are less than 12 months old. List 11 questions for your Liebster Award nominees on your blog. Inform your nominees by leaving a comment on their blog. 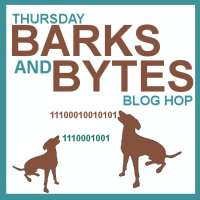 The Thursday Barks and Bytes Blog Hop is hosted by 2 Brown Dawgs and Heart Like a Dog. Join up, grab the badge, have fun and be sure to visit some other great blogs in the hop. 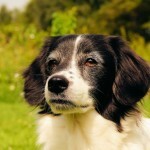 « Can Olive Oil Help Your Dogs Dry Skin? Congratulations on the award and thanks for adding it to the blog hop. I love these awards because I get to find out a bit more about some of my favorite bloggers. Congratulations! Thanks for sharing that piece about your Remembering Sasha post. Hi Jen! Thank you for your kind words about my blog. I really enjoyed learning a little more about you in this post. I have never heard of some of your nominees so I will be sure to check them out! I enjoyed reading your Q&A. Congrats on your award. You totally deserve it! Thanks so much for joining the hop! Congrats on this and the Nose-to-Nose! Its unbelievable that you have been blogging for less than a year. You are unbelievable. Thanks for the nomination! We will accept this weekend and get something out!